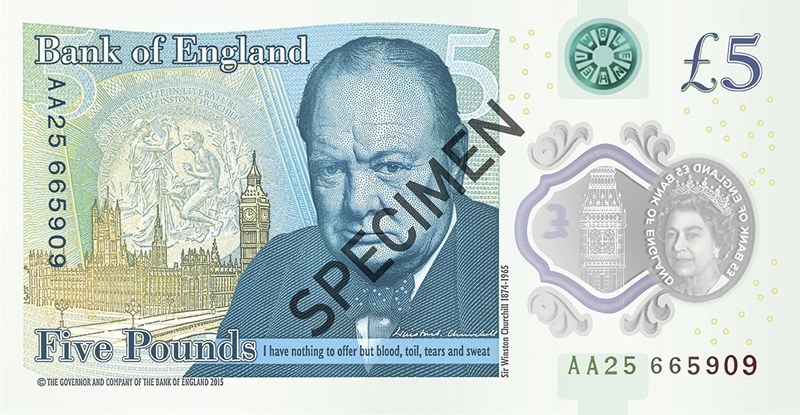 In September 2016, a new polymer note was introduced, featuring the image of Queen Elizabeth II on the obverse and a portrait of Winston Churchill on the reverse. 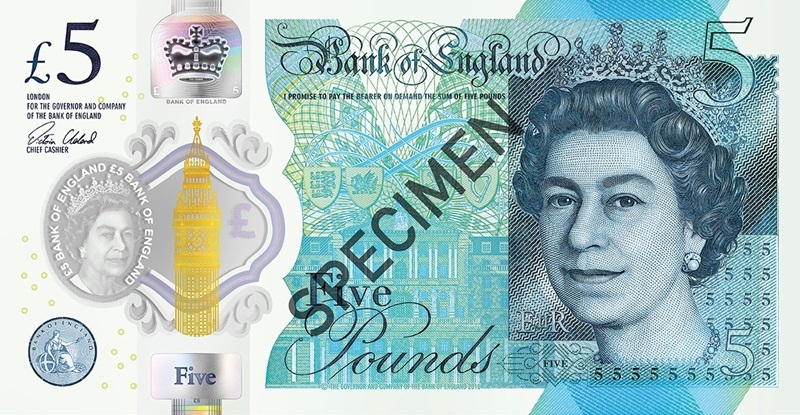 The new polymer fiver is cleaner, more hygienic, and stronger than the paper note, and has enhanced security features that include a see-through window and the foil Elizabeth Tower which is gold on the front of the note and silver on the back. 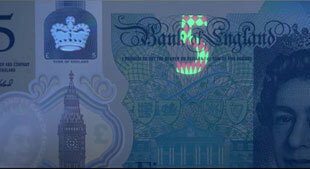 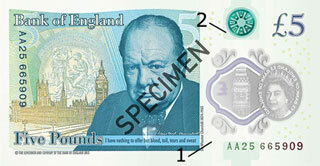 The £5 note is printed on polymer – a thin and flexible plastic. The words ‘Bank of England’ are printed in raised ink on the front of the note, there is also raised ink in the bottom right corner, around the number 5. 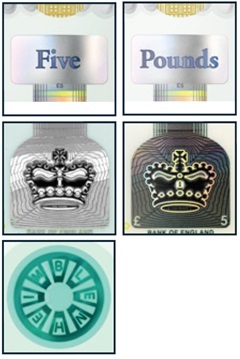 (4) Check the print quality.